A comprehensive, well-rounded training program, taking a PADI Open Water diver to being a highly qualified and specialised PADI instructor with our extensive marine conservation expedition. Ideal for PADI Open Water divers and Divemasters who dream of becoming highly qualified and specialised PADI instructors, with extensive marine conservation training. PADI Instructors make for more versatile employees than Divemasters, so if you’re planning on choosing it as a career path, this customised, professional programme focused on marine conservation and its best practices is perfect for you. Selected interns will be given the opportunity to return to our marine conservation expedition base as PADI Open Water Instructors! Welcome to our flagship program. Our flagship program includes marine conservation training, Divemaster training and a dive shop placement, preparing you for our tailor made Instructor Development Course (IDC) and Master Scuba Diver Trainer course (MSDT). We give you world-class professional-level training that is transferable to any dive-industry application, distinctively unique as our training is environmentally focused, with extensive conservation understanding and training. In 30 weeks, you will be qualified as a PADI Master Scuba Diver Trainer, with the training and ability to work and teach around the world, with specific diving, marine conservation, biology and work experience. This is a one-of-a-kind program, facilitating access to an industry where conservation knowledge and understanding will set you apart from and above the rest. Important: if you are already PADI Divemaster qualified, and/or have extensive marine conservation training already, please do speak to us about tailoring this program for you. Options are available to complete the program without these elements. Why an IDC & MSDT? With very few exceptions, the main business of any dive centre is training, and given that only Instructors can conduct most PADI programs, the hiring standard at most dive centres is Instructors, rather than Divemasters. They make much more versatile employees and our programs will turn you into a very well rounded dive professional ready to work in this demanding industry. The addition of the MSDT preparation program adds to your versatility as an instructor, as you will be able to offer additional, sought after speciality courses to your customers. The PADI Master Scuba Diver Trainer rating sets you apart as a dive instructor who takes continuing education seriously and is committed to teaching a variety of courses. Our PADI IDC & MSDT course is unique as it focuses and builds on the diving, conservation, biology and work experience that you will have learnt on our Divemaster Internship and marine training program. Complemented with a purpose-built, instructor-level training program heavily focused on conservation best practices, it will make you uniquely qualified to enter the scuba industry to work for operations located within Marine Protected Areas or otherwise. We are currently the only organisation which implements a program like this, giving you unparalleled training, knowledge and experience which cannot be replicated elsewhere. You will work with members of our team who are marine biologists and/or have considerable training in the field, and have experience in research diving and working as Marine Park guides, so you will have fantastic opportunities to build on the conservation skills learnt on your expedition. 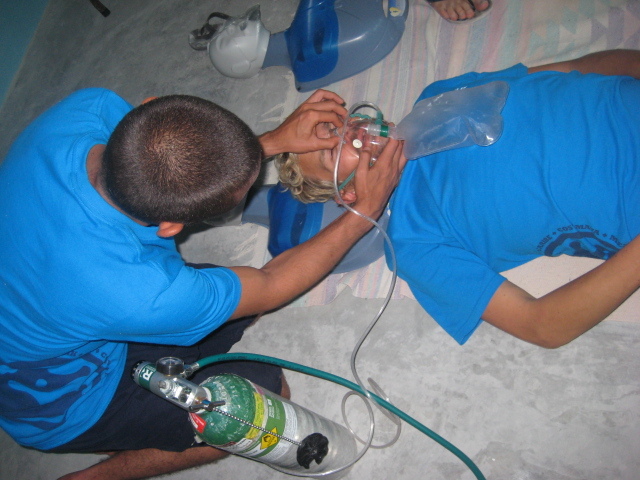 Before you start the internship, you will need to be qualified to at least PADI Open Water, or equivalent. “I only knew what I wanted to do as a recent graduate from a B.s in Biology, but I didn’t know how to get there. Then our Mexico Marine Expeditions came along. They not only gave me training, but a whole new experience and expertise in marine science work; and lots of good friends from around the world. Because of my experience, I was able to get a paid job in a marine protected area, doing what I love the most, diving and helping protect the ocean. After a year I became the biological and reef monitoring coordinator in an NGO, turning a dream into reality.” – Lluvia Soto Jiménez (Mexico). You will live and work for 12 weeks with a our research team and undergo an extensive training program, taking your diving skills through to advanced level and gaining an intimate knowledge of the marine ecosystem. This knowledge will be put into practice while you work as part of a team to compile crucial research on coral reef and fish species. Whilst undergoing this training, you will receive coaching to develop personal and professional skills, whilst helping staff out on base with additional duties, and receiving personal feedback as part of the internship. Working days can be long and start early. 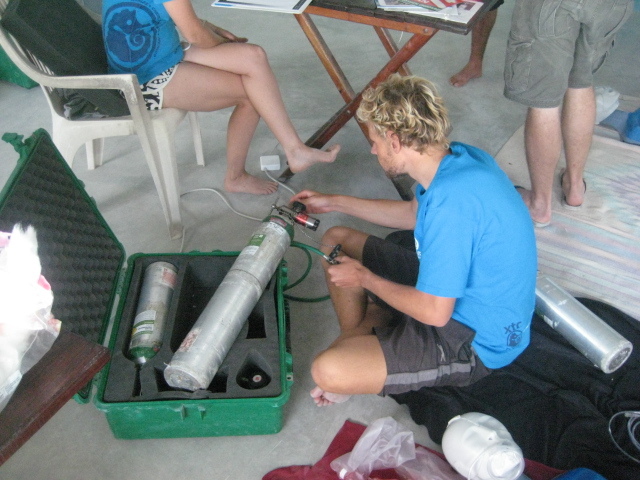 Diving days begin with a team boat push followed by a short journey to one of the research dive sites. Other days may involve training on base, community days, beach clean-ups and bird surveys. Depending on weather conditions, we aim for everyone to have 1 or 2 dives/snorkels each day, 5 days a week, during which you will conduct underwater surveys after completion of your training. Besides diving, you should expect to be involved in additional projects and activities, including training sessions, marine debris surveys and removal, environmental education sessions or alternative income training, depending on local and project needs. Days are rounded off with evening debriefs, followed by dinner and time to relax, take in a beautiful sunset and share stories. You will be assessed each week in order to measure your progress, and as long as you are successful on your training phase you will then proceed to complete your PADI Divemaster course during your 12-week work placement with XTC Dive Centre. After completing your 12-week phase on our base, you will join the team at XTC Dive Center to complete your professional training internship. During your 12-week internship, you will not only learn the specifics of dive guiding and supervising both certified and non-certified divers, you will also learn dive theory, the legal and ethical requirements of working in the dive industry and demonstrate your in-water skills in a variety of situations and circumstances. This training will take you above and beyond PADI’s basic requirements to be certified as a Divemaster and you will gain real-world experiences by working with customers, rather than just role-playing and learn about the day-to-day running of a dive center. There is much more to being a dive professional than just going diving and you will gain exposure and training in dive equipment maintenance, compressor maintenance and tank filling, customer service, logistical and administrative processes. Combining this with your experiences from your Marine Conservation Expedition will fully prepare you for working in the dive industry whilst helping to preserve our fragile marine ecosystem. This opportunity will provide comprehensive practical experience of working in the dive industry as you become an integral part of the XTC staff and you will work with the team on a daily basis. 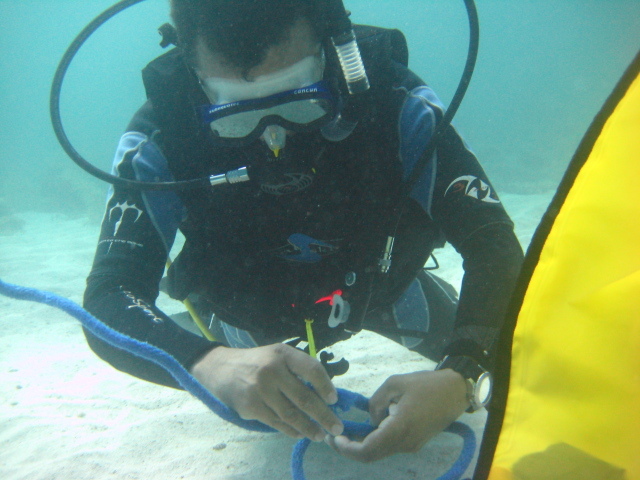 Our work on the marine conservation training phase aims to assess the health of the Mesoamerican barrier reef system. We focus on data collection for Fish and Coral species. Our goal is to increase local and global awareness of marine issues and provide data used for policy-making decisions. 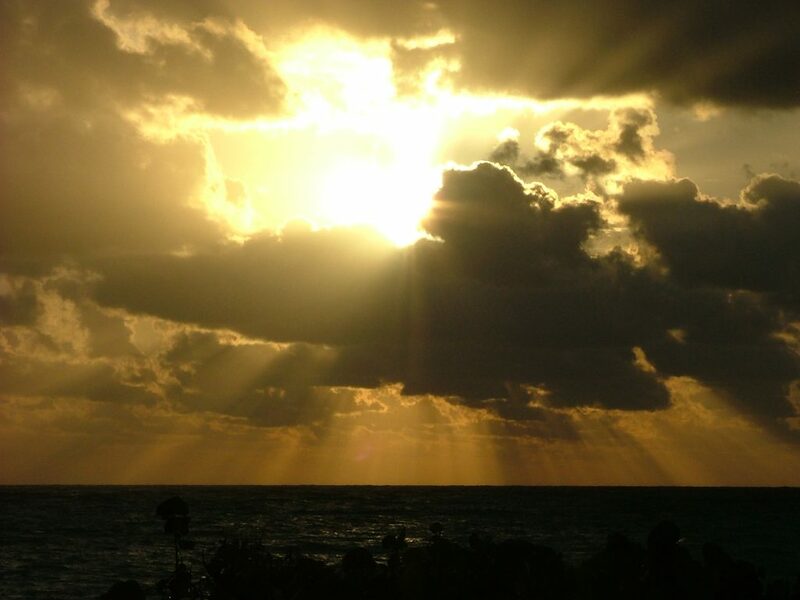 Over time we have been able to amass one of the largest databases in existence on the condition, health and changes of any section of the Mesoamerican Barrier Reef. 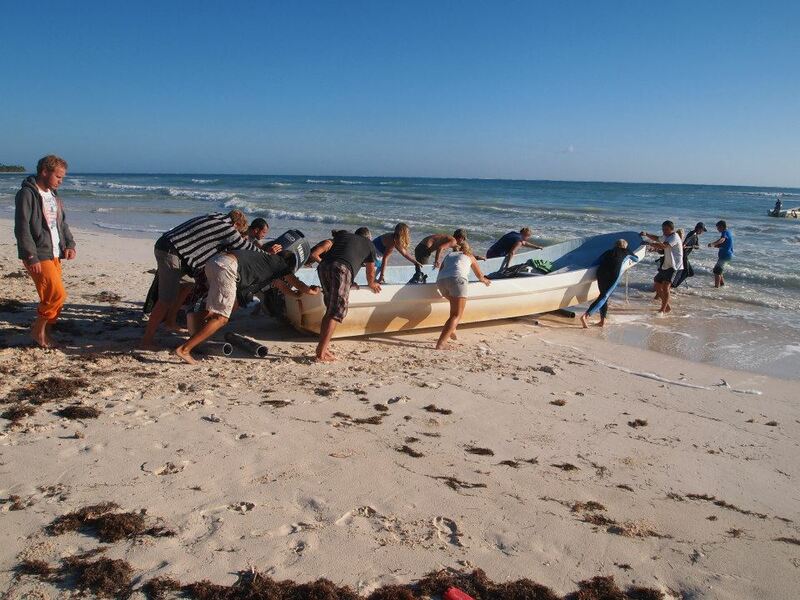 As a result of our work, our partners have been able to continue with the protection of the Sian Ka’an reef system and local fishermen are now trained in diving and monitoring skills and partake in marine surveys with the park and Amigos de Sian Ka’an staff. 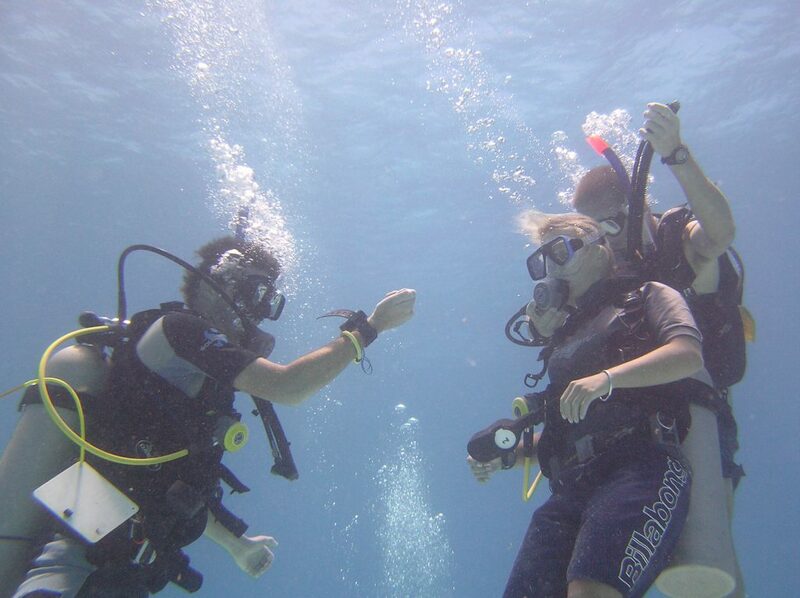 The Instructor Development Course (IDC) is the next step once you have completed your Divemaster Internship. During the IDC, you will build on the leadership, general dive skills and theory that you learnt during your Divemaster training and develop your teaching skills in line with PADI’s educational system. You will learn how to teach both in the classroom and in the water (confined and open water) and explore different techniques to help your students overcome any potential problems they may have. You will conduct numerous practical sessions in these three areas on which you will be evaluated using classmates as your students. The program also focuses on the requirements and standards for teaching the courses that you, as a new instructor, are authorized to teach; Open Water, Advanced, Rescue, Divemaster and three environmentally focused specialties. Through PADI’s standardized teaching methods, you will be able to transfer your skills into any PADI training facility worldwide with minimal adaptations. Our purpose-built, instructor-level training program heavily focuses on conservation best practices and makes you uniquely qualified to teach in environments that would benefit from diving programs being run in an environmentally conscious way, regardless of whether they are Marine Protected Areas or not. This means that, despite the fact that the training is environmentally focused, you will receive world-class professional-level training that is transferable to any dive-industry application, with extensive conservation understanding and training. Upon successful completion of the IDC, an examiner from PADI will come and conduct their final impartial evaluation, through the IE. This is for PADI to independently verify that you have the skill level and professionalism that PADI expects from its instructors. We are privileged that PADI generally comes to us to conduct on-site IE’s which is logistically beneficial but is also advantageous to you as you will be familiar with the facilities and dive sites. Once PADI verifies your skills and you have successfully completed the IE, we conduct the Master Scuba Diver Trainer (MSDT) preparation program. This is where our program stands out. At the IDC stage, as much as we are able to and do go the extra mile to deliver a world-class program, the course is to a large degree, standardised. It is during the MSDT preparation program where we deliver a lot of additional training. You will go through 5 Specialty Instructor Courses (3 of which are standardized, and 2 which are distinctive to our conservation-focused qualification). Your 2 specialist qualifications will be Coral Reef Research Diver Instructor, a qualification uniquely designed by us and XTC and Marine Conservation Specialist Instructor, which focuses on the best practices of delivering courses and guiding dives in protected areas whilst minimizing a divers impact and increasing their awareness of marine issues.The remaining 3 specialties that we recommend are Enriched Air, , Digital Underwater Photography and Gas Blender, however at XTC Dive Center, the instructors have a wealth of experience teaching the full range of PADI specialties, so you do have flexibility in choosing your preferred specialty areas. The MSDT rating is the second level of PADI’s Instructor ratings and it denotes instructors who have undergone additional training and have a certain level of experience teaching. . Many dive centers choose to employ MSDT’s over Instructors because of their additional skills and knowledge, that make them stand out from the crowd by being able to teach popular PADI programs that customers ask for. To actually be certified as an MSDT, will not only need to have 5 specialty instructor ratings you will get through XTC’s preparation program, but also have certified 25 students. Please do note that this program does not actually certify you at that level, as you will need to get additional teaching experience, but it gives you the 5 speciality instructor ratings necessary. Selected interns will be given the opportunity to return to our marine conservation expedition base as PADI Open Water Instructors, giving you the opportunity to gain the 25 certifications required for the MSDT certification. PADI requires that you get certain pass marks in each area, however, not only do we provide you with more practice sessions than PADI require, we also train at a higher level than required by PADI, ensuring that you get as much exposure as possible to the potential problems that you may come up against with real students, when working in the industry. The program also furthers your education on the legal requirements for you as an instructor, your obligations and responsibilities to your students, tips on marketing courses and also looks at the business of scuba diving. PADI’s minimum training time for an IDC is 7 days, however, as is the case with our Divemaster training, we go well above and beyond PADI’s basic requirements, to guarantee that your training is the best it can possibly be, and you are sufficiently prepared for any eventuality. You are not trained to be just any instructor – we want you to be the best instructor you can be, with the skills necessary to feel comfortable teaching whilst being an environmental ambassador. Taking part in our IDC/MSDT Internship includes unrivalled career development guidance. Our extensive experience in the industry, as well as an extensive network of contacts around the world will all be shared with you, through our formalised career. Resume/CV workshop and job placement assistance. Selected interns will be offered the opportunity to return to our marine conservation expedition base, as part of our staff team. This will help you gained further experience and our knowledgeable in-house instructors will provide invaluable advise and tips during your initial stages as an official PADI instructors. Not only that but you will able to reach the needed minimum number of student certifications so you can fulfill your MSDT qualification. Over 50% of our team are ex volunteers and interns, so there is always a chance of going straight from your instructor training into a job with us! Most importantly, with your unique marine conservation knowledge and experience, you stand out. We are the only organisation that can provide you with such training; therefore you are part of a very select few candidates, making you invaluable to the SCUBA industry. We will do all we can help you get your career off to a good start. We’ve been there, done it, and have succeeded. You can too. In this region, you are spoilt for choice in the number of opportunities to try out different dive sites away from the expedition. You could start with snorkelling with turtles of all sizes in Akumal bay, where they are protected and come to feed; dive or snorkel within the unique cenotes (underwater river systems); dive Cozumel, where the wall dives along the island have been voted as part of the world’s best top ten diving locations; or, for a full weekend, try Isla Holbox, a small island off the north of the peninsula. It’s a beautiful, tranquil place, great for a quiet weekend away. Whale sharks (the world’s largest fish) migrate up near the island from June to September and snorkelling alongside them while they filter feed is a truly breathtaking experience!